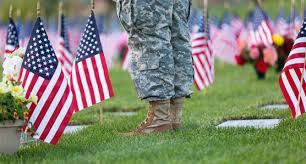 I pray for peace for all our fallen troops and their families. I pray for peace for all of us. Have a wonderful Memorial Day. I looked it up to see what it actually means ;-) We have something like that on May 4th, but we also remember civil victims of the war (it's centered around WOII, but we tend to include other wars). It's definitely nothing we "celebrate", but we celebrate our liberation from the Germans and less specific our freedom the next day (May 5th). hope you had a good long weekend (with good food!). I pray for peace every day!